There are too many ‘me-too' innovations going around telling the world that it’s the next big thing. In that climate of grandstanding every idea, we have, along with Colliers International, and our colleagues at Reed Exhibitions busy putting together the final touches to Arabian Travel Market 2017, sifted out five ideas that could shape future of travel. Biometric-enabled baggage solutions, cloud passports, personalised travel, spontaneous travel apps, and virtual reality travel. Many progressive industry players have adopted this technology already, for example Dutch carrier KLM and Dubai International Airport. Biometric technology will play a significant role in the evolution of baggage tracking systems and immigration clearance. In addition, we can expect travel related services to be further developed to enhance personalisation through guest data. 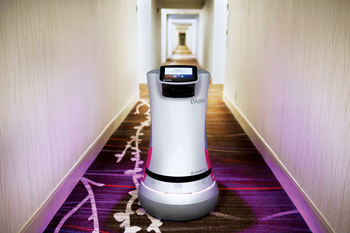 Colliers has identified four defining evolutions of hospitality technology. The first is the utilisation of beacons to pilot Bluetooth across public spaces, allowing for on demand flash marketing within the property or guest identification. Virtual payment systems and integrated smart phone apps are also tipped to be highly influential. Virtual reality travel has already been popularised by Marriott International with its Travel Brilliantly campaign, which heavily focused on promoting destinations first. The chain has also pioneered VRoom Service, a first-of-its-kind guest service that allows guests to order inspiring virtual reality experiences to their rooms, created in collaboration with Samsung. The role of Artificial Intelligence or AI was a hot topic last year and the interest around possibilities will not wane. Solutions are evolving around to enhance customer care, for example, On the Beach, a UK-based site allows users to book beach holidays by searching for the best hotel and flight deals. It has Alison–a virtual chatbot who is (obviously) available around the clock and can answer hundreds of common user questions. Many brands are now offering virtual travel agents through AI powered chatbots. Our colleagues can pick up from these trends and more at the ATM 2017. In response to the innovations testing travel trends, ATM Travel Tech theatre will return in 2017 with a focus on experiential travel An interesting talk will be presented by Ahmad Absi who specialises in Twitter performance metrics across the purchase funnel and the behaviour of the Twitter travel audience.